️The sun is finally out, it's my 23rd birthday , and I have a gift for all of YOU! From Dec 3rd-17th, enjoy 23% off my ENTIRE shop! Use code 23BDAY. New items are being added over the course of the next 2 weeks, so keep checking back! 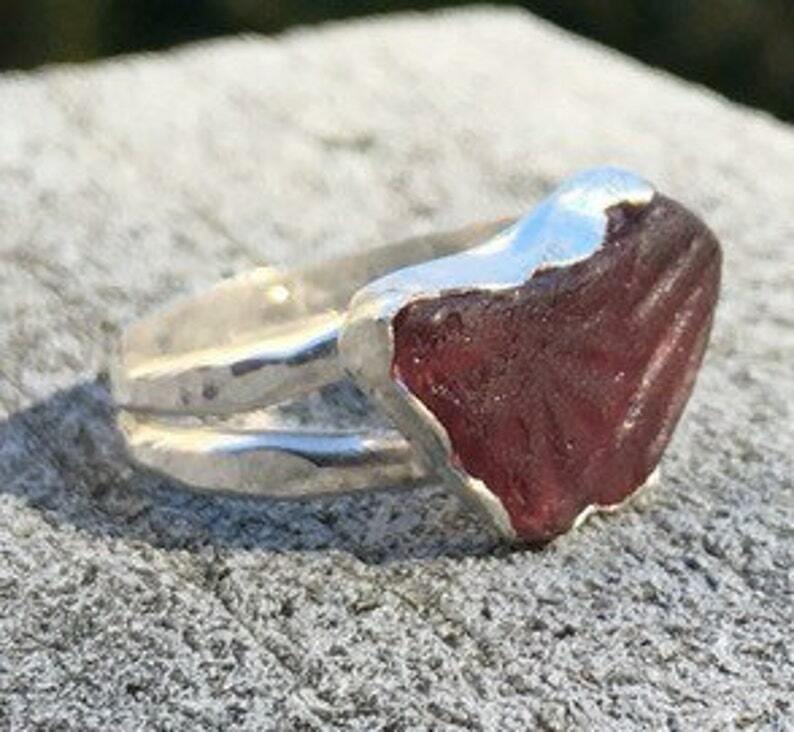 A beautiful, rare, purple patterned piece of Puerto Rican sea glass is bezel set in fine & Argentium Silver* for this gorgeous ring. The band is a US size 6. It is handcrafted and soldered together for a long lasting, beautifully simple ring. The band is made from sterling silver in my signature split shank style. *It can be hammered up to a larger size, maximum size 7. This piece of heart shaped purple originates from privacy glass. *Argentium Sterling Silver (93.5%) contains more germanium than traditional Sterling Silver (92.5%). It's properties makes it far more tarnish resistant than Sterling Silver, and brighter. It is made from 100% recycled silver, so like sea glass, it is Eco-friendly. Copyright © 2015 Brittany Russo, Kiya Marie Designs. I reserve all reproduction rights. No work may be reproduced in any manner, or derivative copy made.